Watch out SUVs of Australia. 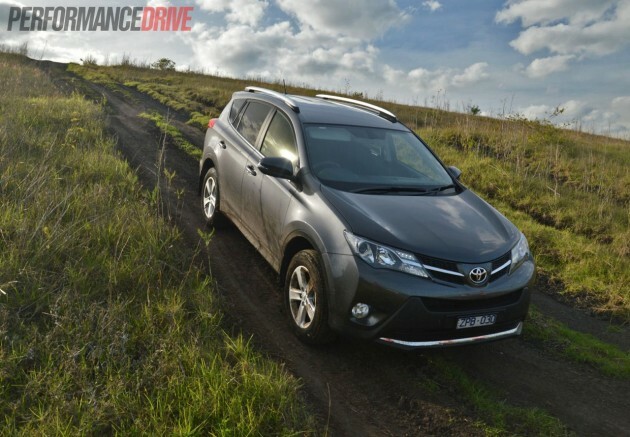 Kingmaker, Toyota, has released an all-new version of the highly popular RAV4. With it comes three additional variants in diesel form, and a new four-cylinder petrol, taking the smorgasbord to sixteen variants. We are graced with a sporty new design, more room, more power (some variants) and better fuel economy. 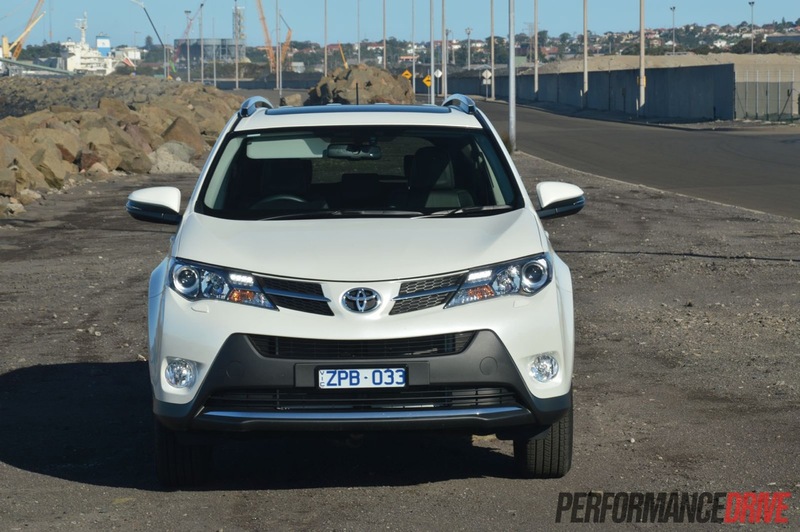 Toyota enjoys the top spot in the world for SUV sales, most part from the contribution of the RAV4. Let’s see if the nameplate continues to hold the throne with the new 2013 model. Existing on the market now for 20 years, Toyota knows a thing or two about what customers want in a small SUV. 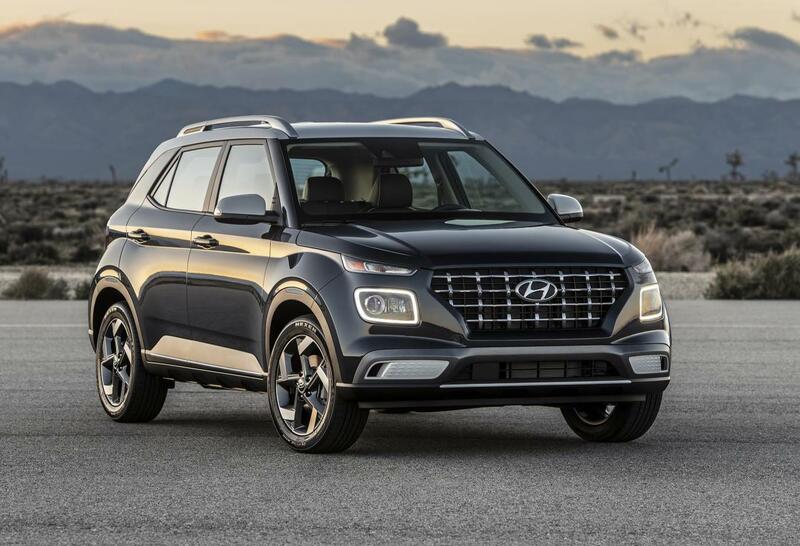 And since the 2013 model launch in March, sales figures show the company is delivering its knowledge spot on. 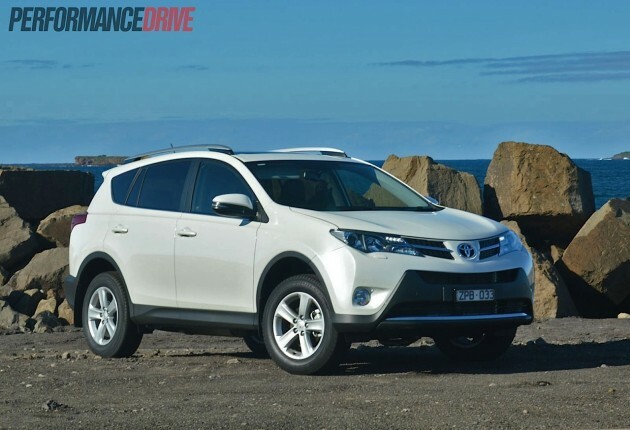 In fact, sales have exceeded Toyota’s very own forecasts, with help from the new diesel models which account for about 43 per cent of total RAV4 sales. 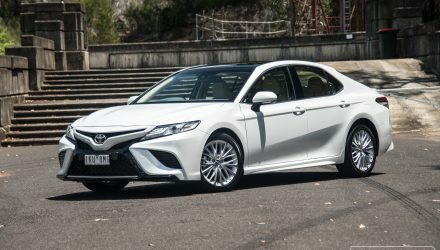 So far this year, Toyota has sold 12,448 versions to Australians (as of September VFACTS figures), which puts it as the second most successful model in the class. During September, 1508 versions were sold, easily outselling many of its main competitors. 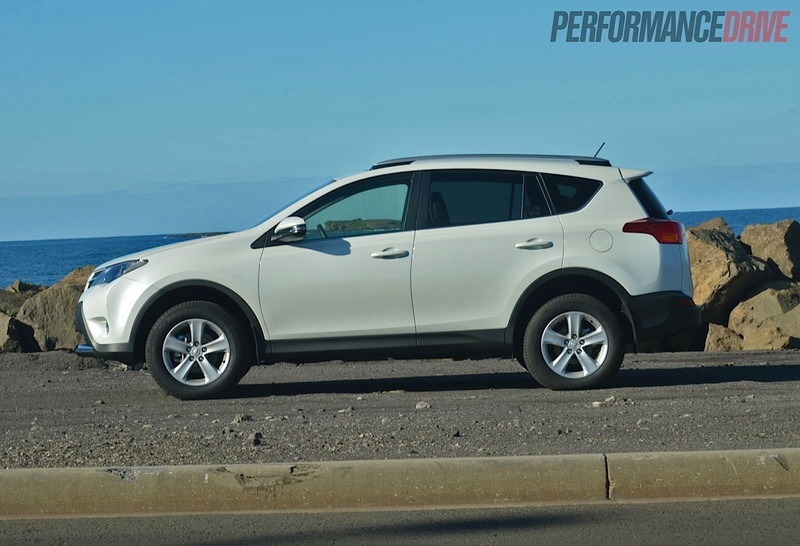 The only SUV that has done better numbers is the Mazda CX-5, which has gone to 15,315 buyers this year. 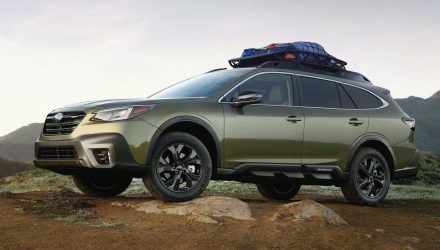 The entry-level variant is $500 cheaper ($28,490 excluding on-roads) than the previous model, which is quite competitive for a highly reputable branded SUV like the RAV4. There are three main variant levels to choose from; the GX, GXL, and the range-topping Cruiser. 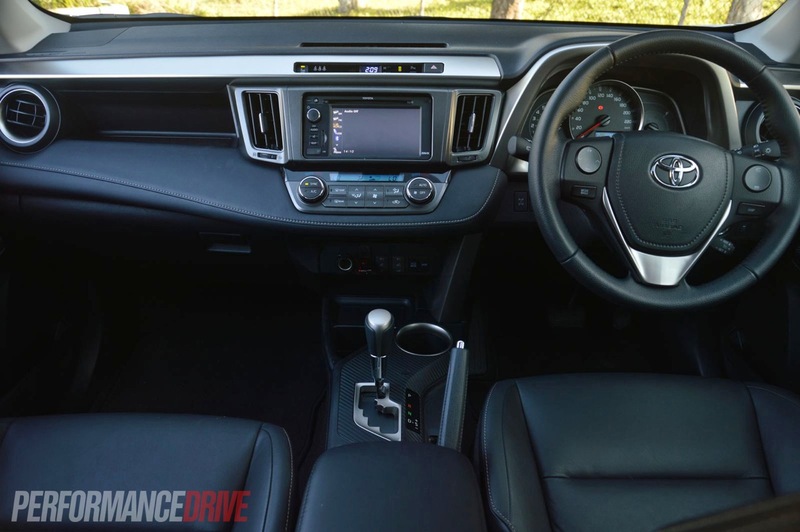 From these levels you can choose from three different engines; a 2.0L petrol (2WD), the prevalent 2.2L diesel (AWD), and the 2.5L petrol (AWD) as seen in the Toyota Camry. The 2.0L petrol is not available in Cruiser guise. 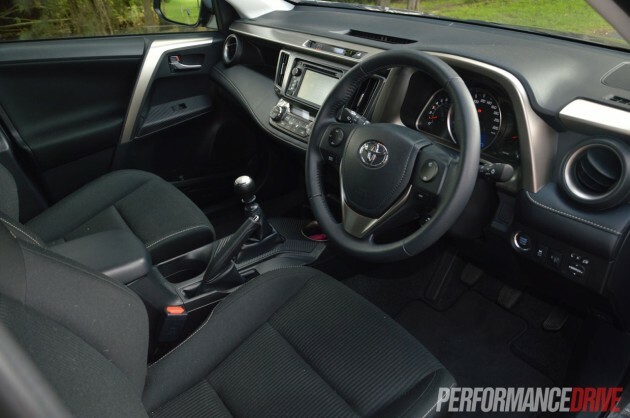 Toyota kindly gives the option of six-speed manual and six-speed automatic transmissions with all variants, although a seven-speed CVT auto is used if you opt for the auto 2.0L petrol engine. Here, we put the 2.5L petrol GXL manual and automatic Cruiser under the microscope. 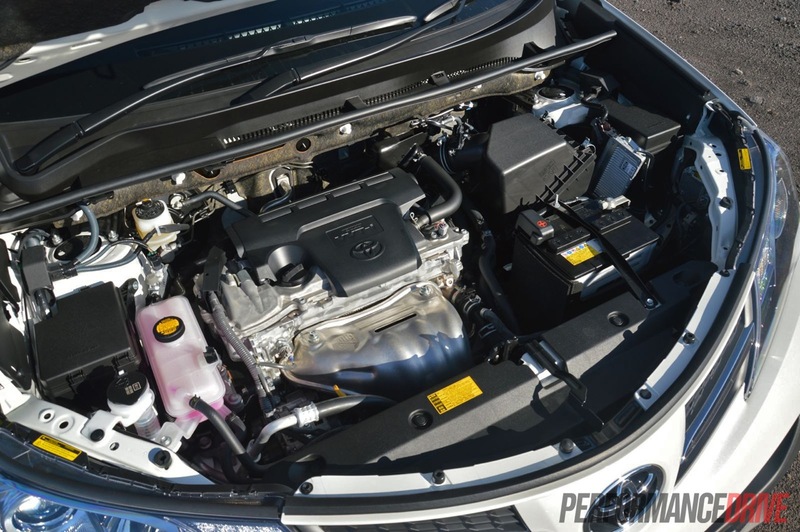 The 2.5L petrol engine is snatched from the Toyota Camry and produces 132kW and 233Nm. It’s a slight increase in capacity over the previous model, however, economy is not sacrificed. 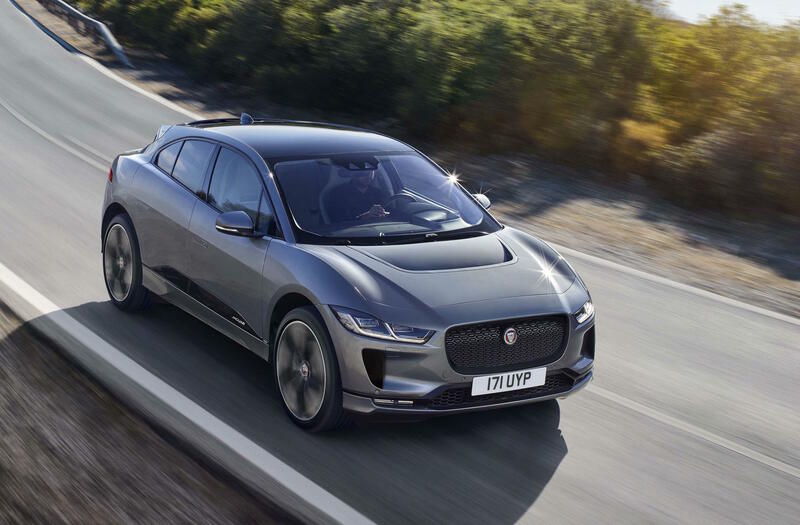 In fact, it brings efficiency improvements of up 11.5 per cent in the automatic and 5.5 per cent in the manual, but we’ll get to the engine soon. 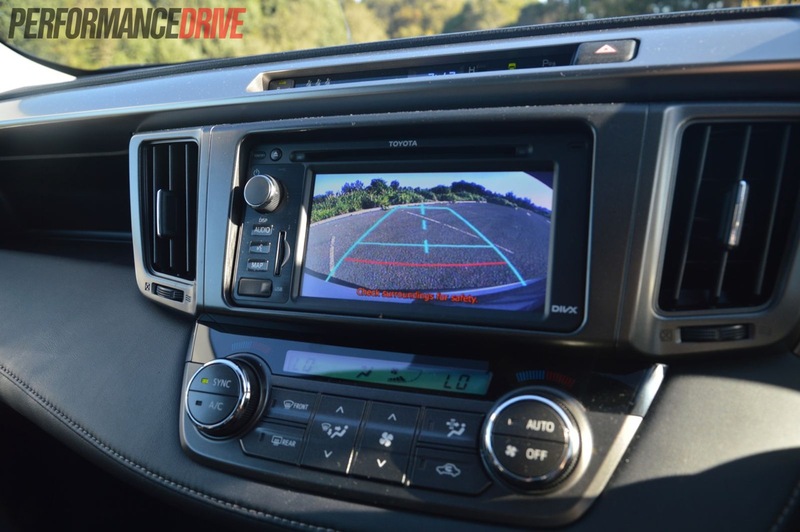 The GXL tested offers 17-inch alloy wheels, privacy glass, fog lamps, roof rails, daytime running lamps, single-disc in-dash CD player with a 6.1-inch LCD touch-screen, MP3 compatibility and AM/FM tuner. 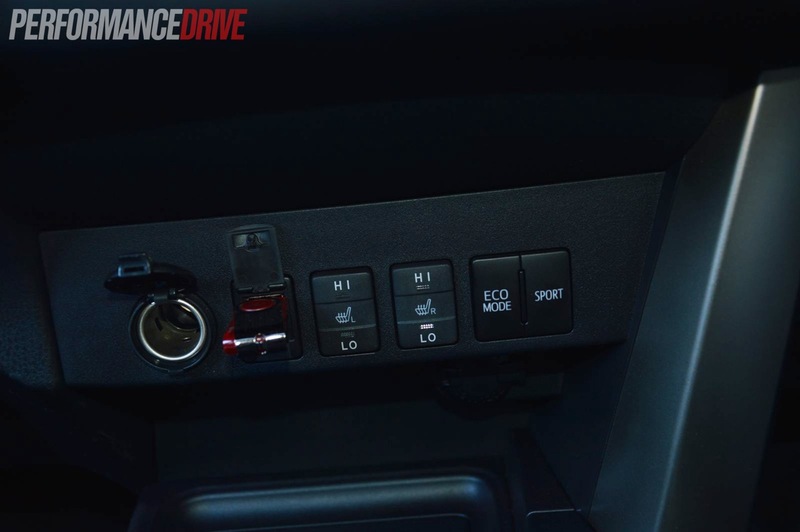 It also comes with hill-start assist control, and downhill assist control, seven SRS airbags, and a reversing camera. Opt for the deluxe Cruiser (tested – white), and you pick up leather accented seats, a premium steering wheel with audio and telephone controls, satellite navigation, Toyota’s blind spot monitor, and a groovy tilt and slide moon roof. 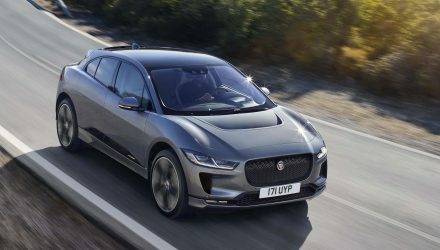 There are MacPherson struts up front and a trailing-type double-wishbone setup at the rear, for all variants, while the steering system is all electric and speed-sensitive, making for better economy with less engine load. The GXL has a very reasonable starting price of $32,490 for the 2WD, which is $1500 cheaper than the previous model. Add $3000 for the AWD setup. Unlike many European brands, you don’t find the price tag rising high as the sky when you include all the possible optional extras. 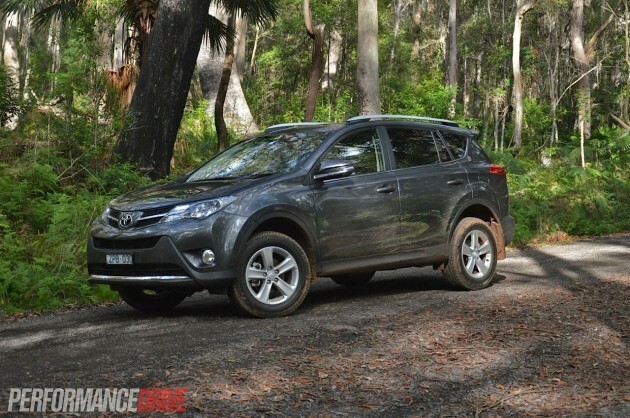 Looking at the exterior, you can see the RAV4 has changed dramatically. 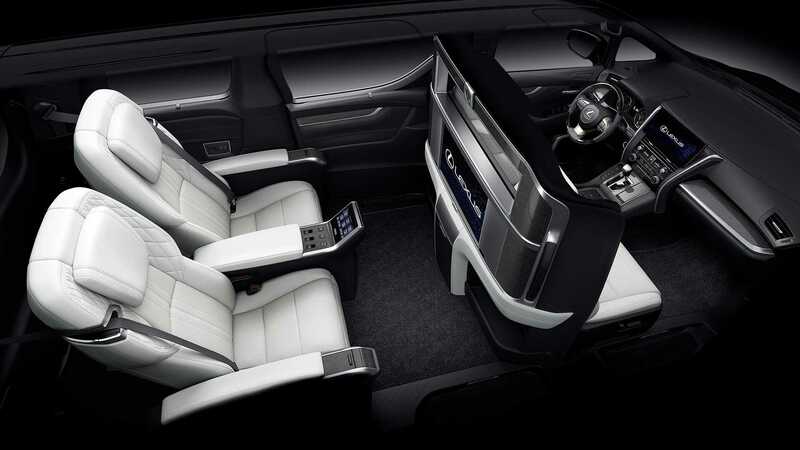 It adopts quite an athletic and sporty look that is in line with Toyota’s global design language. 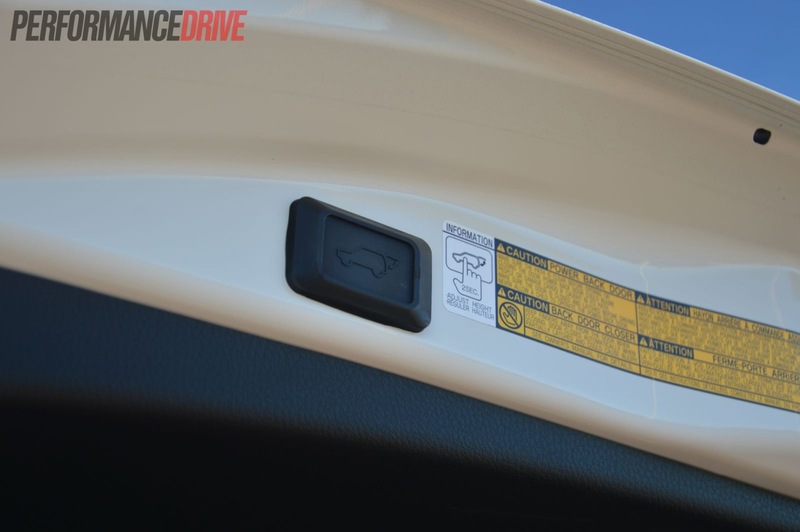 Many cues can be seen in the latest model Corolla hatch too; like the long and higher taillights, the slanted and angry front end grill and headlights, to the waistline that progressively rises towards the rear. It’s all part of an overall vogue that looks quite refreshing sharp for this segment. 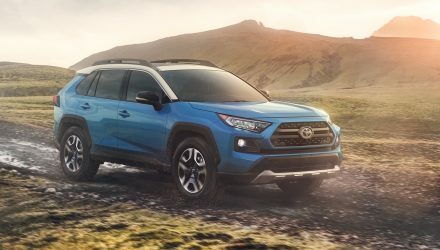 Even though the RAV4 from the outside looks all grown up, the overall dimensions have actually shrunk. 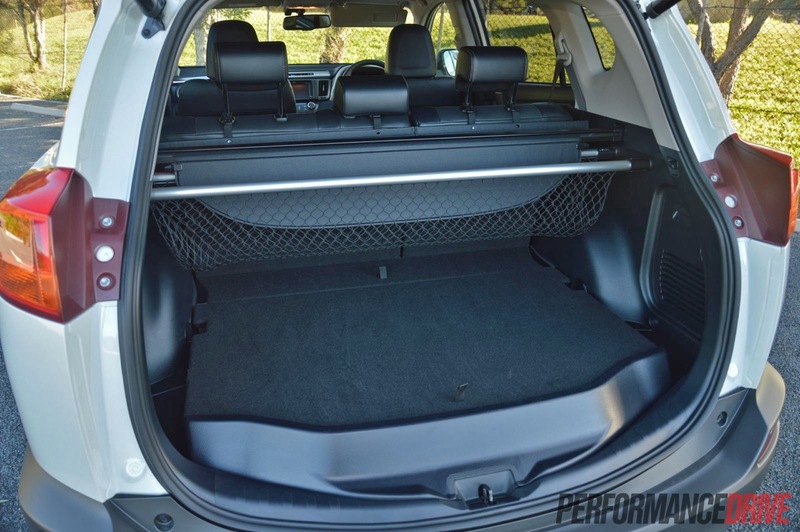 But don’t worry, with Toyota’s clever design engineers, the RAV4 is still actually bigger in every dimension inside. 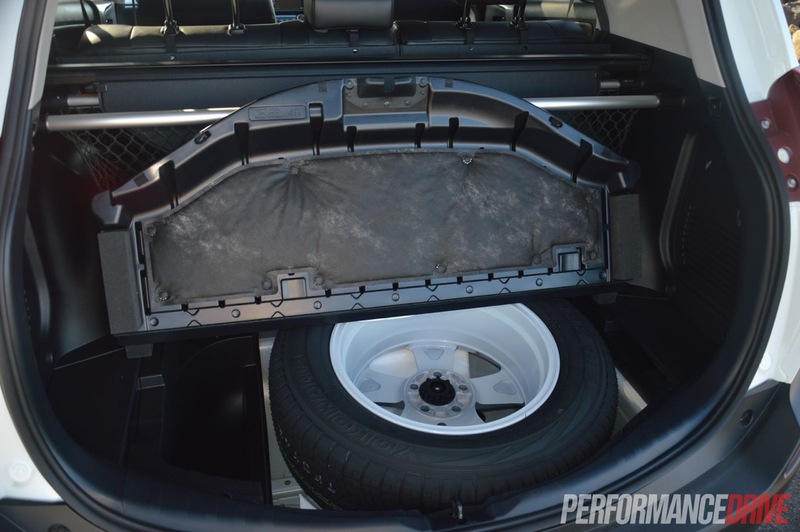 The engineers’ handiwork involved doing away with the spare wheel on the tailgate and relocating it to under the boot floor. They implemented thinner seats and repositioned the pillars, which also improves field of vision. 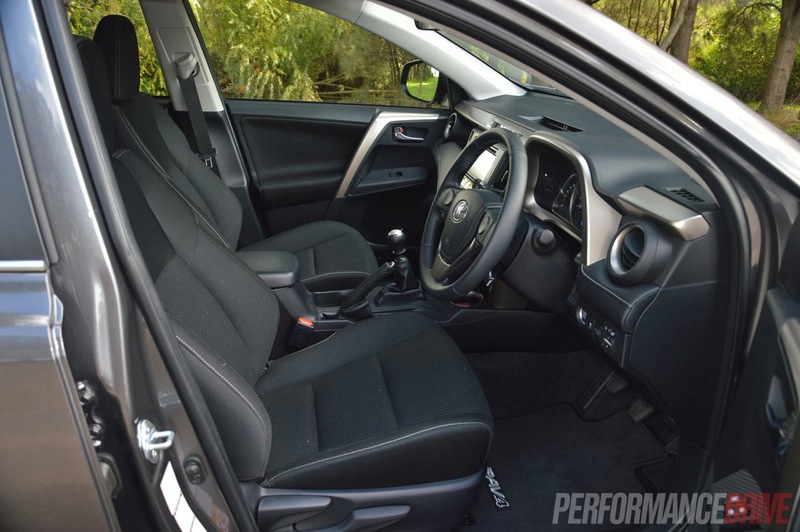 For the targeted market the RAV4 sits in, we found interior space practically perfect. Even with four adults on board and luggage, there were no complaints. 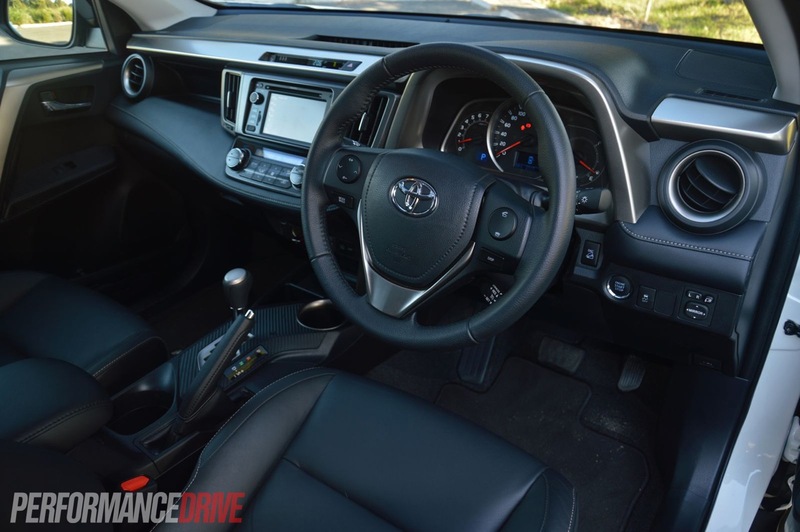 The controls, seat adjustments and the dash layout in the RAV4 are one reason why Toyota continues to be the default carmaker in many minds, as all functions are easy to use, intuitive, clean and free from overly complicated or intrusive buttons and controls. 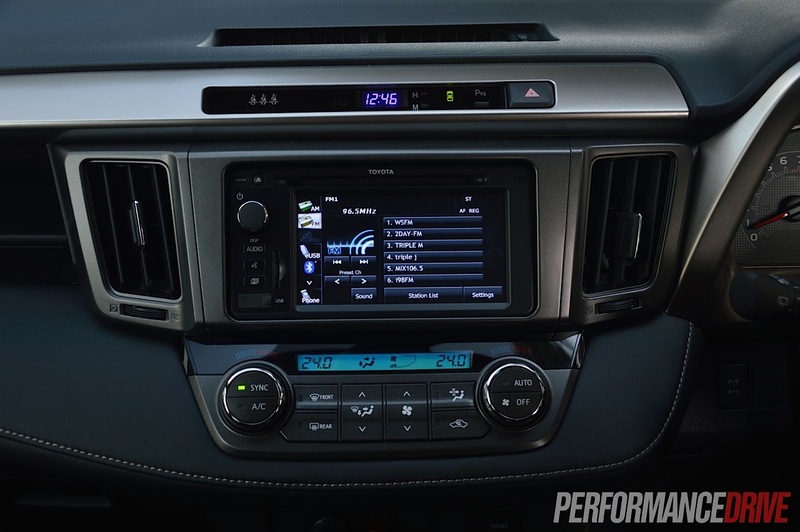 The main pitfall to the interior is the cheap afterthought of a stereo system and touch-screen unit. 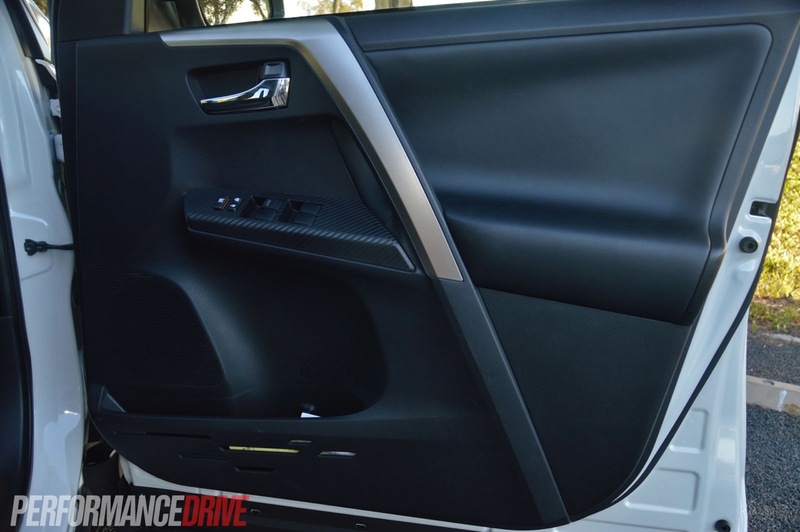 It looks inferior to the rest of the interior, and the sound quality leaves much to be desired. It’s obvious that Toyota has developed one music unit to fit in all Toyota models for cost cutting measures. But it doesn’t blend into its surroundings well, and makes it look like an aftermarket fitment. It could also be improved with bigger option tabs and menus in terms of the interface’s computer program. 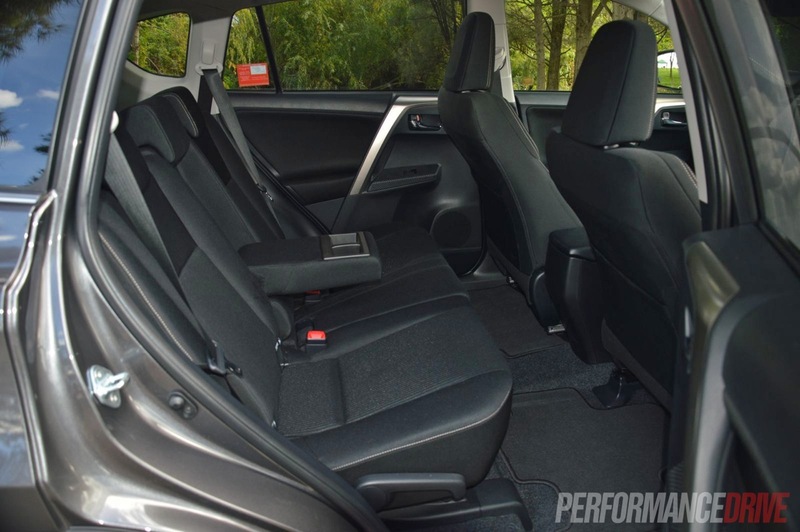 Rear occupant legroom has been increased by 41mm over the previous model and headroom in the front is also well satisfactory, adding to the RAV4′s user-friendly nature. In the very back, the RAV4 offers 577 litres of cargo space – more than the Mitsubishi Outlander (477 litres), Honda CR-V (556 litres), the new Ford Kuga (406 litres) and all of the luxury European rivals – as well as what we all love, loads of nifty storage compartments, something that has a high weighting in this market. The overall cabin atmosphere is airy and clean. There’s no mistaking it for a lower class vehicle, with Toyota-like quality plastics and design. 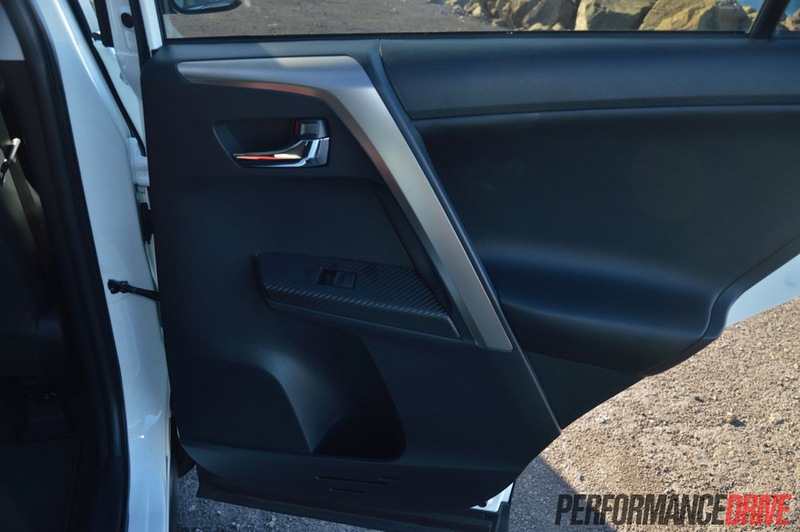 Materials and plastics feel durable yet modern in design, and right on par with that renowned Toyota build quality. 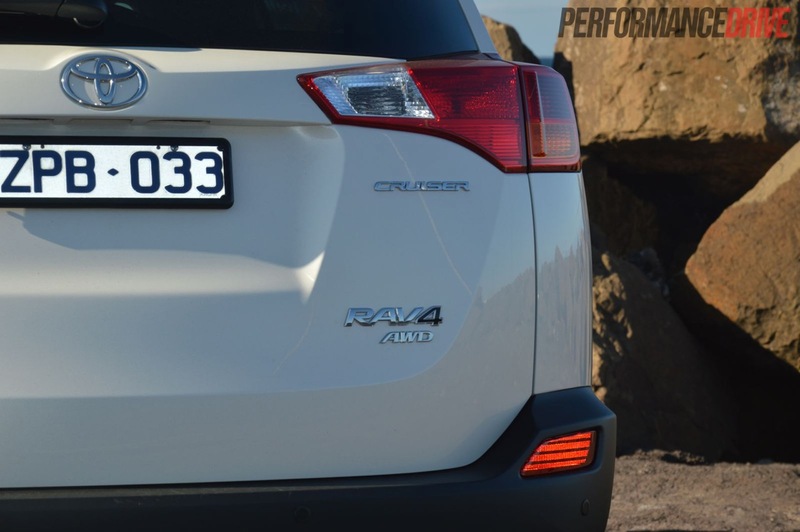 Your average Toyota RAV4 driver isn’t going to demand Formula One car-like performance, but they do have a mandate for some get-go to stay ahead of the rush in city traffic, or to overtake with a family load among country roads. 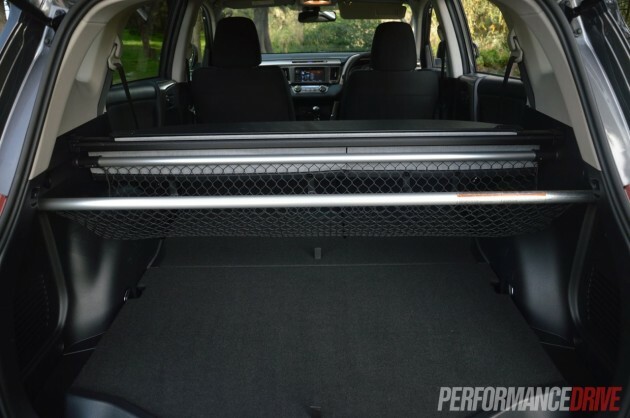 And that’s exactly where the new Toyota RAV4 sits. The new diesel engine does offer a wider-spread of accessible power and torque compared with the petrol units. 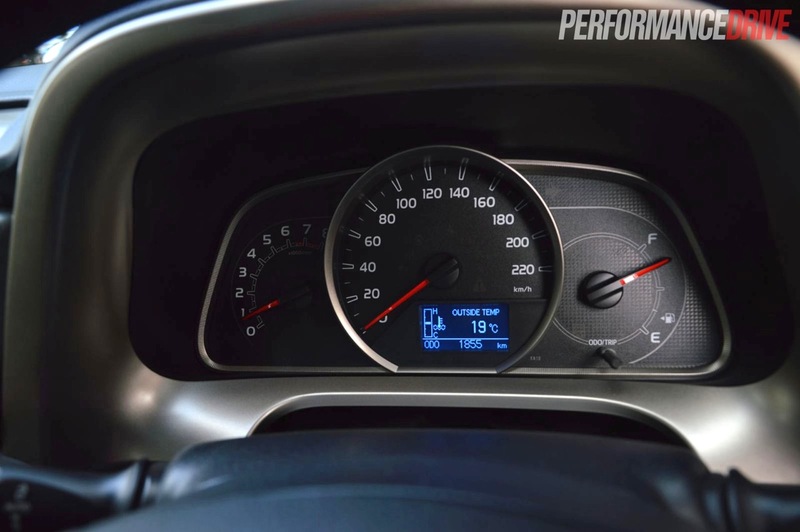 The 2.5-litre petrol engine achieves similar results, but as expected, it needs to keep the revs high. There were times in the RAV where it would have been nice to have that little bit more oomph, but that’s through the desensitised eyes of us auto journos. Hitting a hill without a runoff is where the above is really highlighted. But comparatively speaking, the power output is not too bad. 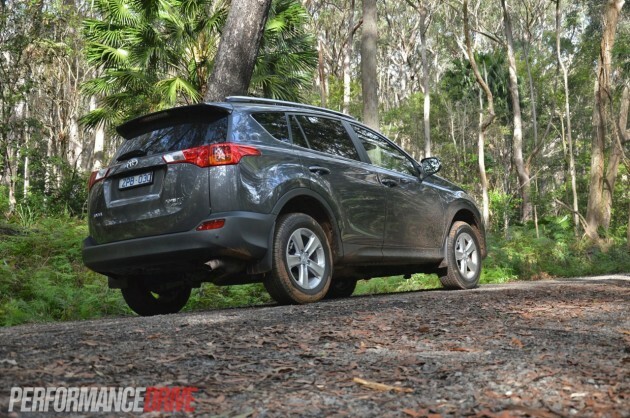 We found it better than the Mitsubishi Outlander, Nissan X-Trail and much improved on the previous 2.4L model. 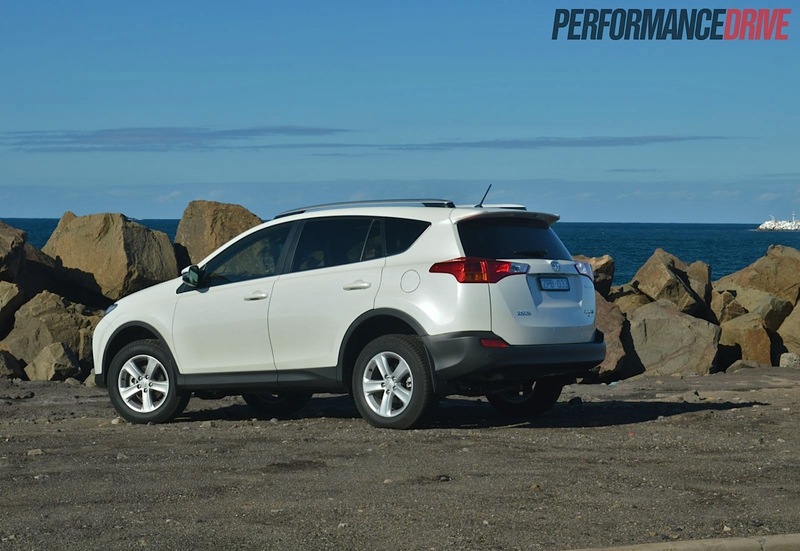 For a petrol engine, the 2.5 litre RAV4 is one of the most frugal on offer. Putting it up against all the economical diesel engines available though, including within its own offering, it’s no wonder sales for the diesel engines have been higher than forecasted. Official figures for the 2.5L petrol reveal a combined consumption 8.5L/100km for the six-speed auto and 8.6L/100km for the manual. We achieved marginally similar results in our tests. The six-speed automatic mated with the 2.5 work together musically, making for a smooth and responsive driving experience. We found it refreshing to feel how well the transmission would intuitively downshift during descents and hold onto those lower gears until the bitumen flattened out – no longer is it a case of the vehicle running away from you downhill, incessantly pressing the brakes. In terms of performance, we timed 0-100km/h in a respectable 8.6 seconds in the auto and 8.3 in the manual. 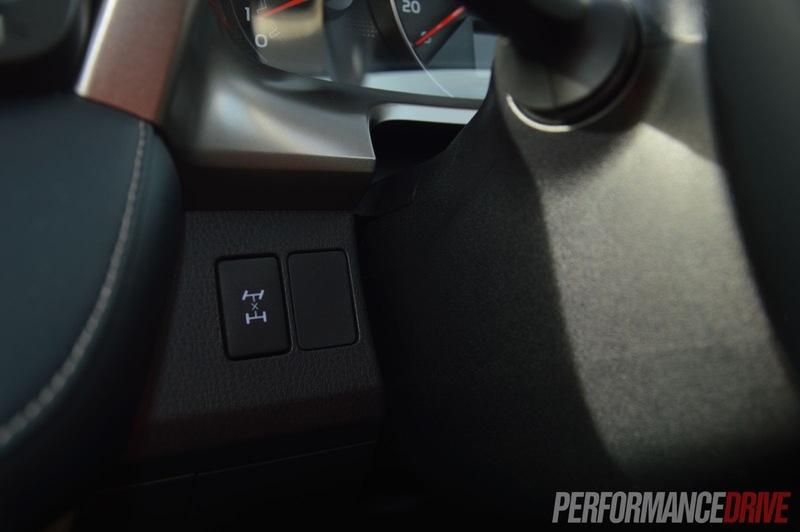 The manual is just as much of a delight, with a light clutch operation that’s noticeably easy to negotiate the friction point, which made gear changes comparably smooth. 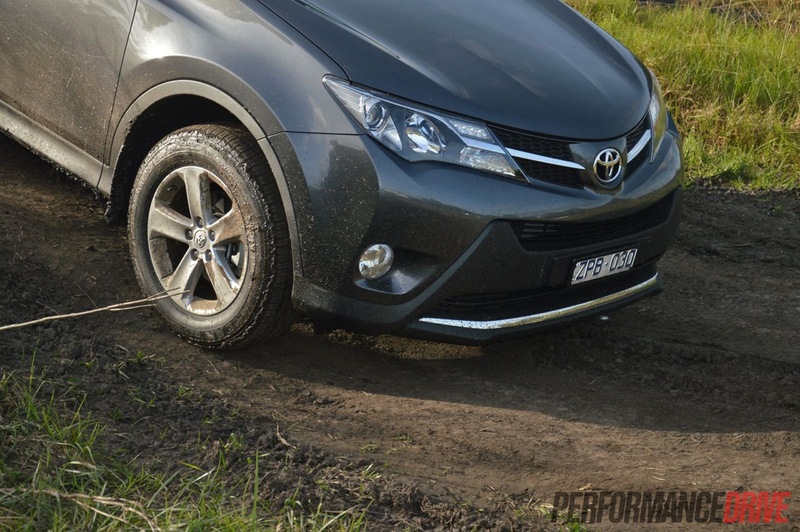 Toyota always seems to have an advantage over its European counterparts when it comes to the suspension and steering being able to handle Australia’s rugged terrain and generally ill-maintained roads. Again, the RAV4 stands out from its competition in this area. It soaks up potholes and the like with poise and control. 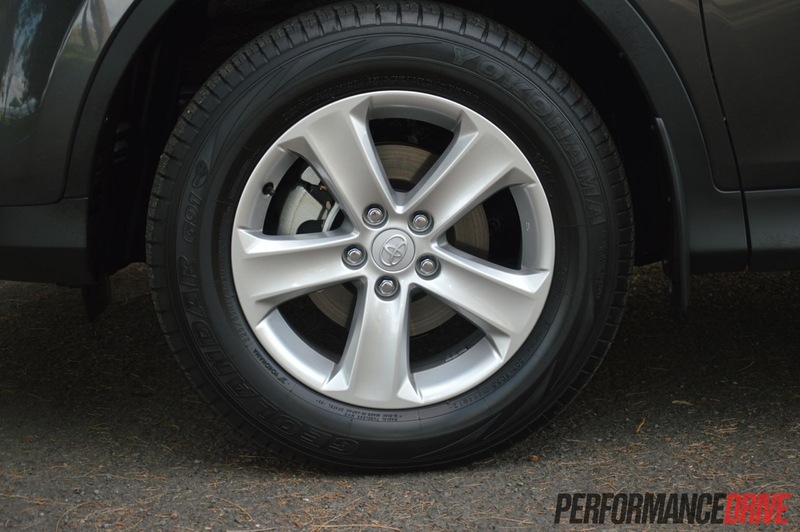 As we’ve stated, the RAV4 is no sports car, but for an SUV, the handling and composure is acceptable. Partly due to the wider track and better dispersed centre of gravity, it can be taken around corners in a hasty fashion without feeling like it’s going to roll over like a walrus – definitely better than some of the much more expensive Euro rivals in fact. The quality suspension and composure also spreads across to its cross-country ability. We took it through some deep mud pits and over plenty of dirt tracks and the RAV felt competent and stable. 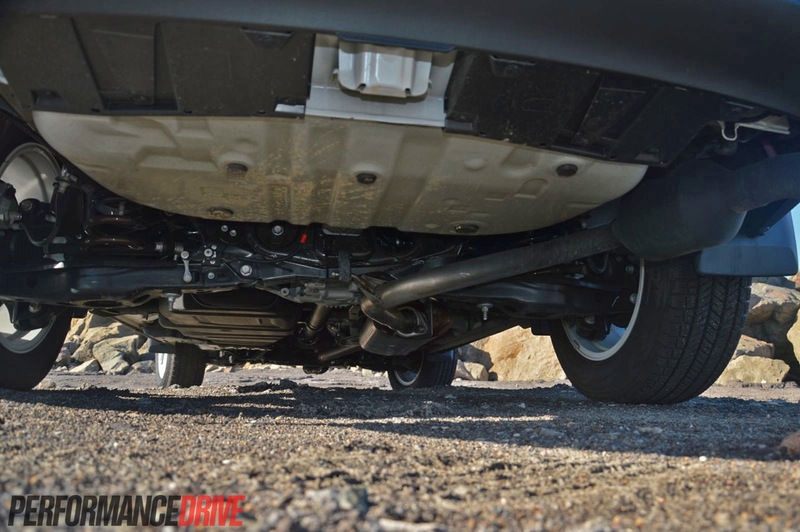 It gives quite an average ground clearance for a soft-roader. With 195mm, it’s no tractor. 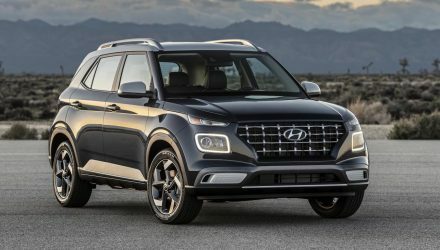 And the sharp front bumper bar, while sporty, can hinder the approach angle at times if you’re unable to cut diagonally on steep climbs and descents. 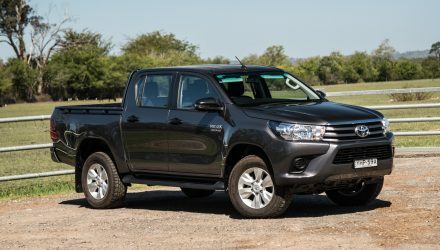 If you want to do some serious off road sports, look at some fully fledged Toyota 4WD options or utes. 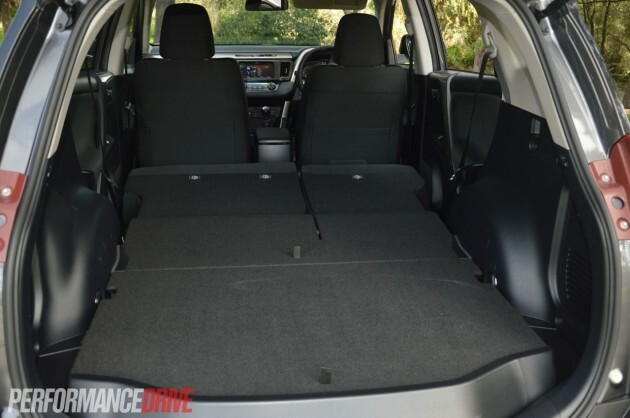 But if you wish to go to out to your favourite secluded camping spot at the end of a dirt road, or simply want that secure feeling you get from sitting up high, the Toyota RAV4 is ideal. 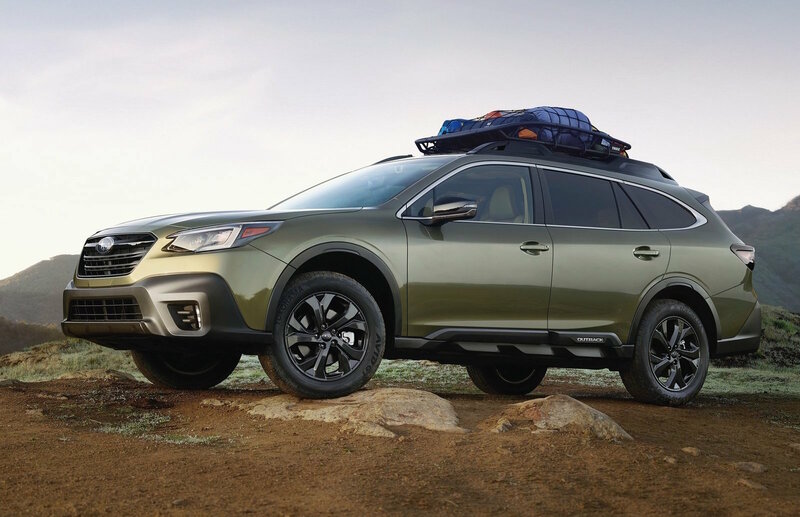 The adaptive AWD system (which actively distributes power from the front wheels to the rear as it senses necessary) does its thing in the background effectively. 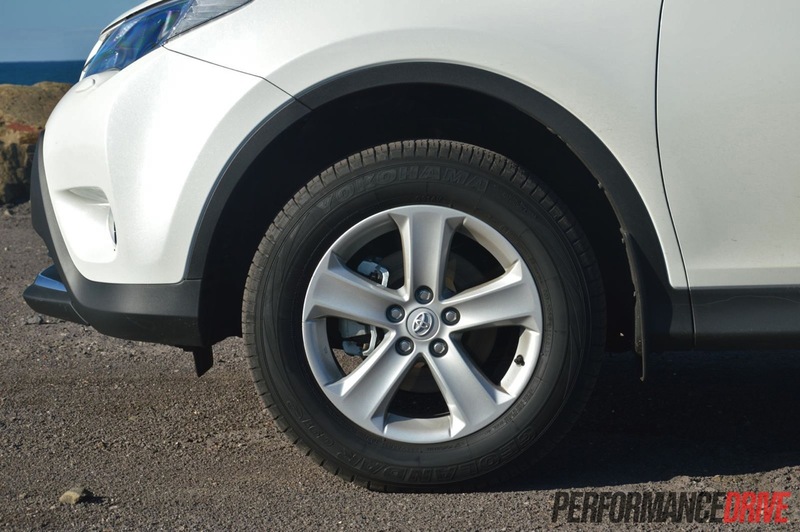 Grip rarely becomes an issue during most intermediate-level off-road terrain, while a centre diff lock is there on all AWD variants to provide added support in more sticky situations. 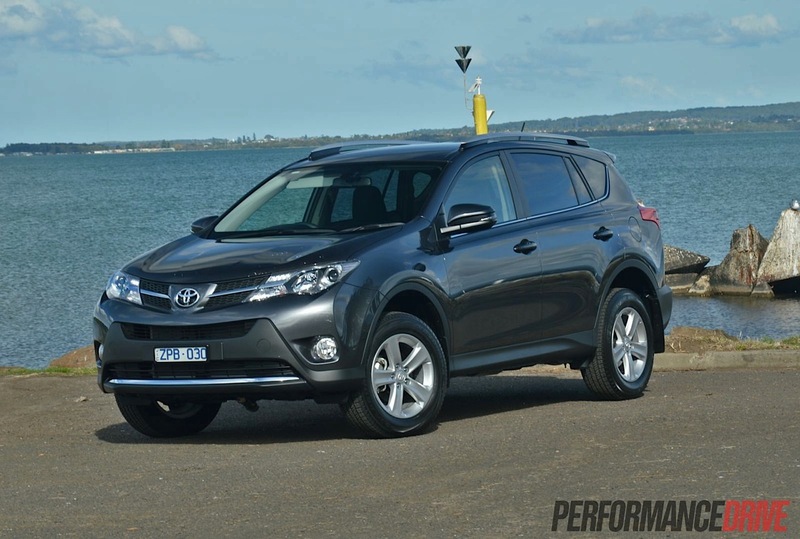 According to VFACTS, the RAV4 continues to dominate its rivals. With so many versions on offer, there really is a RAV4 variant to meet the requirements of many customers. 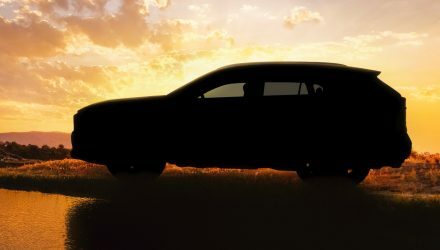 Even in a position where it also has to contend with some very strong competition, such as the VW Tiguan, Mitsubishi ASX, Mazda CX-5, Honda CR-V, and the new Ford Kuga, it’s clear that Toyota continues to formulate the winning recipe to outdo even its own forecasts. Its size levels up competently, design looks sharp and modern, and features offered are up to par. 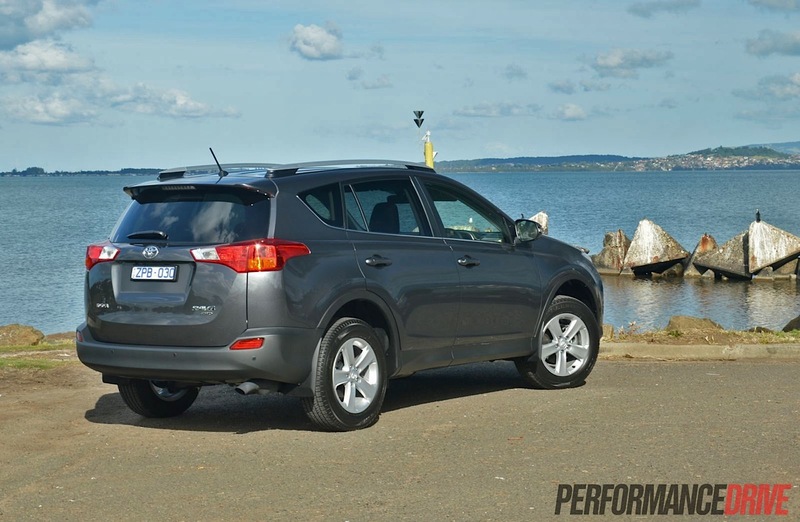 The petrol engines are powerful enough, however, they could do with more torque and economy. Like with some other makes at the moment, Toyota offers the reassurance of capped price servicing until 60000km.